To be a king, one must give up sleep and dreams in favor of the ruling duties of waking life. Below are all the references to sleep and dreams in the play, with brief comments. 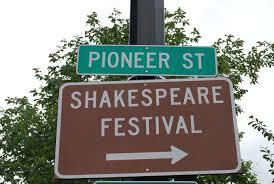 The play is currently in production at the Oregon Shakespeare Festival in Ashland, Oregon. The outstanding cast includes Jeffrey King as King Henry IV, Daniel Jose Molina as prince Hal, and G. Valmont Thomas as Falstaff. Sir John Falstaff is appearing here for the first time in the play, and he immediately becomes angry that a tailor will not accept his “security,” i.e. his pledge to pay his debts. Falstaff cannot provide the security the tailor demands, so instead the old rogue pivots to a different meaning of “security,” insulting the tailor by suggesting he’s a cuckold (with horns), unaware of his wife’s infidelity (lightness) while he sleeps in apparent safety and ease. The Chief Justice has just entered the scene, and he demands to speak with Sir John about his criminal behavior. Falstaff avoids the question by asking the Chief Justice about the health of the king, Henry IV, who is reportedly ill with “apoplexy.” The king has been losing his vitality and energy through a “kind of sleeping in the blood,” and Falstaff wants the Chief Justice to focus on what will happen when the king is dead—prince Hal, the good friend of Sir John, will ascend to the throne, and he will not look kindly on the mistreatment of his closest pals. Falstaff’s medical diagnosis of the king is a thinly-veiled threat against the Chief Justice. The Chief Justice does not press the point, but he gives Falstaff a warning of his own. The proverb suggests that a prudent person will recognize the benefit of allowing a violent beast to remain in peaceful slumber. Mistress Quickly, the hostess of the tavern, complains to the Chief Justice about the money Falstaff owes her and refuses to pay. Having no other recourse, she threatens to harass the old rogue in his sleep like a nightmare. Sir John deflects her anger by transforming the nightmare curse into a bawdy invitation. This scene starts with prince Hal and his disreputable companion Poins discussing the king’s illness, and Hal’s unwillingness to show his true feelings. Then Bardolph and the young Page arrive, two bumbling fools with a message from Falstaff. Poins makes fun of Bardolph’s red face (discolored from drink), and the Page reveals that Bardolph was recently with a prostitute. The furious Bardolph chases after the Page, who calls him “Althaea’s dream.” Prince Hal takes interest in this, and asks what the boy means. The Page responds by mistakenly combining two classic mythological tales. 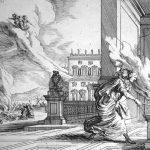 Althaea was an ancient Greek queen who killed her own son by burning a brand (piece of wood) that, so it was prophesied at his birth, would cause his death if ever consumed by fire. Hecuba was a Trojan queen who had a dream while pregnant that she gives birth to a firebrand; the child she bore from that pregnancy, her son Paris, was the impetuous warrior who abducted Helen, sparking the war that led to the destruction of their city. Several other Shakespearean plays make accurate references to the story of Hecuba, so it seems likely the Page’s conflation of the two stories is intentional and not a mistake of Shakespeare’s. Does prince Hal know or care if the Page’s mythology is accurate? Maybe not, but the prince does appreciate a fine display of wit. Hal plays along with the dream theme by offering the Page a small payment (the crown) for the pleasing interpretation, just as if he were consulting a diviner in the marketplace. The Ancient Pistol, one of the rowdy soldiers who hang around the tavern, gets in a drunken brawl with Falstaff. 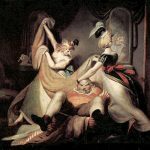 The notion of death as a kind of sleep is pervasive in Shakespeare, and in classical mythology. Sir John was just about to go to bed with his female companions, but he is suddenly informed that a dozen of the king’s men are waiting at the door for him. Falstaff realizes he can no longer escape the military service that a nobleman like himself must perform. 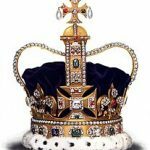 He thus turns necessity into a virtue and presents himself to his lady friends as a man of extraordinary importance whose sage presence the king desires immediately. The moral contrast between he draws between a virtuous man of action like himself and a slothful “undeserver” is undercut by the fact that Falstaff was just about to retire for the evening, until forced by a troop of soldiers to do otherwise. The next scene occurs in the palace, where the aging king Henry IV appears “in his nightgown,” desperately desiring to sleep and yet unable to do so. Falstaff’s fantasy of the wakeful “man of action” is belied by the painful reality of mighty ruler who is strangely impotent in the domain of sleep. Alone with his insomnia, the king broods over the baffling irony of sleep bestowing its gifts to the lowliest of people in the worst of circumstances, and yet denying any comfort or rest to the greatest and most powerful man of all. These ruminations prompt the king to utter perhaps the most famous line in the play, an honest reckoning with the cost he has paid for the power he seized and hopes to pass on to his son. The Archbishop and the other rebels against the king have met to negotiate with his son, prince John. 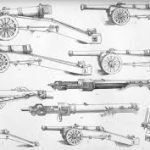 The Archbishop diplomatically suggests that the monstrous violence of war, which once set loose can grow horribly out of control, may be “charm’d asleep” if the king will simply grant their legitimate grievances. The prince seems to agree. But it soon turns out he was in fact charming the Archbishop; as soon as the rebel troops are released, the prince seizes the Archbishop and other rebellion leaders and sends them to their execution. On the verge of death, the king sadly anticipates the wasteful, unruly behavior of his son Hal, who will inherit the crown once the king is gone. Even when he is on the brink of succumbing to the eternal sleep of death, the king cannot help worrying about the world he will leave behind in the hands of his degenerate child. 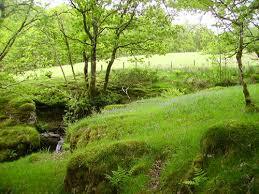 Unfathered heirs and loathly births of nature. The ailing king’s closest allies gather in the palace and speak darkly about what will happen next. The Duke of Gloucester describes strange omens and worrisome changes in the weather that seem to foretell conflict ahead. Here is another metaphorical contrast between sleeping passivity and waking action. Now, at the very end of his reign and his life, sleep briefly returns to the king. My gracious lord! My father! Prince Hal enters the bed chamber of his father, where the golden crown sits on a pillow next to the slumbering monarch. Hal is initially puzzled by this, since he knows the bitter impact of this band of metal on his father’s sleep. But then the prince thinks his father has slipped into an eternal sleep, and he resolves himself to honor his father’s noble death by taking up the crown and devoting his life to upholding their royal lineage. After the prince leaves his father’s bed chamber, the king briefly awakens and worries that Hal has greedily snatched the crown before the king is even dead. This fear sets up their final deathbed reconciliation, and Hal pledges that once he becomes King it will be time “to show the incredulous world the noble change that I have purposed.” Reassured by his son’s promise to rule wisely and well, King Henry IV dies, and Hal becomes King Henry V.
Prince: “I know thee not, old man. Fall to thy prayers. 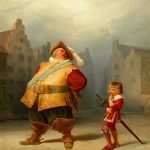 Falstaff assumes his greatest wish has come true—his criminal protégé, the young prince, has become the new king, and he will surely give Sir John total freedom and license to indulge his many, many appetites. This has been Falstaff’s plan and expectation since the beginning of Henry IV, Part I, and now at the end of Part II, he celebrates the rise of his “sweet boy” to the throne. But this turns out to be the moment when Falstaff’s wishes are not only dashed but utterly annihilated in five cold, cutting lines of verse. The newly crowned King repudiates everything having to do with Falstaff, using language that echoes a famous biblical warning against dreams in Psalm 73:20: “They are like a dream when one awakes, on awaking you despise their phantoms.” (RSV) This particular psalm asks God why He allows wicked people to prosper in the world, and the psalmist concludes that God will eventually cause them to fall into ruin and be swept away, just as wispy dreams disappear in the light of morning. The new king casts Falstaff in this biblical mold, and in so doing he both rejects Sir John and identifies himself as a traditional, righteous king who is a vigorous man of action, not a dreamer. Even though he admits that this man has been a long-time presence in his life, Henry V is now focused entirely on his duties to the future. As the play ends, I cannot help asking: will the new king suffer the same deep psychological damage, the same painful alienation from his sleeping and dreaming self, that plagued the old king? Sleep is both a gentle source of earthly pleasure and a stressful battlefield of military violence in Shakespeare’s stirring portrait of a young Prince. And called mine Percy, and his Plantagenet! In many cultures around the world, including early modern England, people have been terrified by the evil spirits that strike infants in their sleep. To protect their children, parents have used prayers, rituals, amulets, and holy artifacts to ward off the malevolent beings who attack newborns during the dark of night. In this context, it would be shocking for a parent to actively wish that a “night-tripping fairy” would come to steal his true child. By so wishing, the King reveals the cruel extremity of his detachment from young Henry. Hal knows that Falstaff is no such thing, but he also knows the fun of hanging around with Falstaff is listening to him spin out absurd stories and fanciful lies. Even more fun is playing a trick on Falstaff to provoke his boundless capacity for creative falsehoods. Such an opportunity arises when Poins, a renowned highway robber, arrives and tells them of an excellent opportunity for profitable thievery. A group of rich pilgrims will be traveling on a nearby road in the pre-dawn darkness, and it would be easy to ambush them and separate them from their valuables. 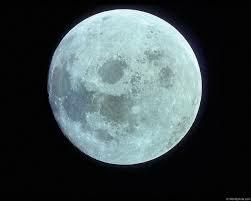 Poins declares, “We may do it as secure as sleep” (I.ii.132-133). This analogy emphasizes the simplicity of the plan. Just as it’s easy to go to sleep, it will be easy to rob the pilgrims. Falstaff accepts this metaphorical reasoning, given how quickly and comfortably he can fall sleep (more on this in a moment). 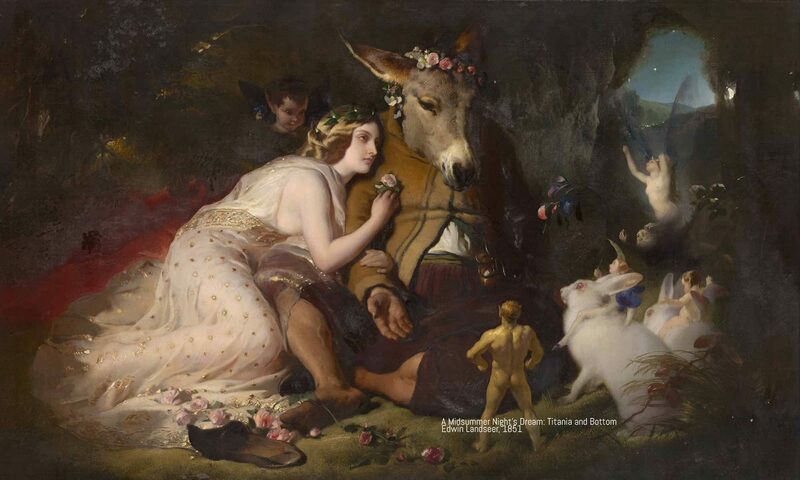 Yet the analogy has another layer of meaning that Falstaff does not recognize, of sleep as a descent into a world of darkness and disorientation with strange reversals of identity and startling discoveries of truth and deception. Falstaff doesn’t know it, but Poins soon confides to Hal that the real plan is to trick Falstaff during the robbery. To be “as secure as sleep” will turn out to be not very secure at all. What ensues is one of the greatest scenes in literature as Hal and the other “minions of the moon” banter with Falstaff while he tells his thrilling, heroic, and completely fictional account of what happened during the robbery. The Prince shares the old rogue’s giddy joy in his fanciful flights of imagination. Despite their radical differences in age and station, they have this creative pleasure in common. Their playful battles of wit generate an exuberant vitality that enlivens them both. The jesting abruptly ends when the Sheriff arrives to inquire about the robbery. Everyone scatters and hides while the Prince must resume his royal identity and assure the Sheriff the pilgrims will be repaid for what they have lost. After the Sheriff has left, Hal tells Peto to find that “oily rascal.” A moment later Peto calls out, “Falstaff! Fast asleep behind the arras, and/Snorting like a horse” (II.iv.535-536). 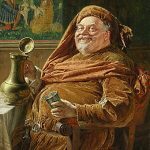 The comedy of Peto’s discovery turns on Falstaff’s blithe lack of concern for anything but his own immediate bodily pleasure. While the Sheriff is in that very room looking to arrest him for a capital crime, Sir John lays down in a dark place and slips into a deep, beastly slumber. Unburdened by guilt or shame, having no ambition beyond the next bottle of sack, he is not even perturbed by Hal’s recent, ominous words about a future banishment (“I do, I will.”). Falstaff enjoys sleep as one of the many sumptuous courses in the great feast of life, and he lets nothing distract him from consuming his fill. On some great sudden hest. O what portents are these? 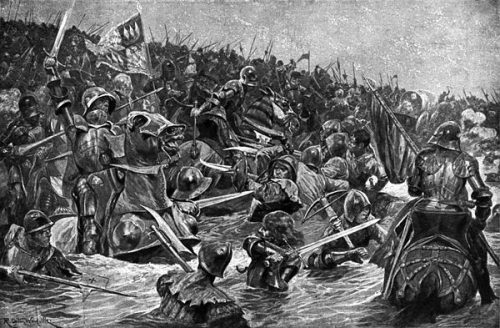 Lady Kate’s account opens a window into the war-obsessed, hyper-militarized mind of Hotspur. Fighting is all he thinks about, day and night, in waking and sleeping. Her description of his physical reactions have aspects of both sleep paralysis and night terrors, which are often triggered by frightening or unsettling situations in waking life. His behavior may even reflect the repetitive nightmares symptomatic of post-traumatic stress disorder; his wartime experiences would have given him plenty of raw material. But Lady Kate is trying to emphasize how frightening it is for her to watch her beloved endure such unconscious torments—he’s sweating, he can’t breathe, he’s in obvious distress. Her plea for him to tell her what’s wrong is a plea for him to recognize the painful impact of his nocturnal suffering on her. This is a beautiful image of sensual slumber, and one of the most poignant moments in the play. A woman who cannot speak her husband’s language offers to ease him into a lyrical space of soothing comfort, away from the sharp edges of waking reality. Indeed, I wonder if she is subtly helping him incubate a dream to guide him in the coming battle. The liminal state she is trying to evoke, just before dawn when sleep is about to yield to waking, is in fact the time when the human brain typically enters its peak phase of REM sleep, generating the highest frequency of remembered dreams. What about Prince Henry? How will he sleep and dream? We do not know yet. He is still unformed, his identity still in the process of becoming. He has two more plays to go. Will he learn from Falstaff and the “gentlemen of the shade” to sleep easily and well, or will he fall prey like Hotspur to the wrenching, inescapable violence of a militarized dreamscape? Last week I saw a powerful production of Henry IV Part I at the Oregon Shakespeare Festival in Ashland, with Daniel Jose Molina as the young Prince, G. Valmont Thomas as Falstaff, and Alejandra Escalante as Hotspur. The scenes with Molina and Thomas were magical; at several points in their comedic jousting I had tears of laughter running down my cheeks. The intimate space of the Thomas Theater enabled both actors to draw the audience into their merry band of criminal conspirators, making everyone feel a part of their antics, adventures, and jests. I truly lost track of time during the riotous fourth scene of Act II. When the Sheriff suddenly arrived it felt like a harsh and unwanted intrusion into our fun times, like an alarm clock jarring us out of a good dream. A buzz-kill, in other words. The casting of Escalante as Hotspur gave a fresh look at Shakespeare’s classic portrait of a young warrior, inflamed with a righteous rage for vengeance. Escalante’s intense performance decoupled Hotspur’s aggression from gender, which is perhaps another way of saying her performance humanized this aspect of Hotspur’s character. I found the effect especially strong in the scene where Lady Kate (played by Nemuna Ceesay) described Hotspur’s frightening behaviors in sleep. Escalante and Ceesay had a vibrant and mutual romantic rapport that seemed to subtly change these lines from a shameful revelation of cowardly fear into an honest admission of the burden of fighting to uphold one’s ideals. Instead of driving them apart, this deeply emotional exchange brought them closer together. Note: this essay first appeared in the Huffington Post on April 18, 2017.